Before Ben Askren deals with Jorge Masvidal, he’s arguably facing an even greater challenge. Fortunately for “Funky”, it will be for a good cause as he goes back to his wrestling roots to take on Jordan Burroughs at the Grapple at the Garden fundraising event on May 6, which is scheduled to take place at Hulu Theater at Madison Square Garden in New York. This will be the 10th annual edition of the event put together by Beat the Streets, an inner city grassroots wrestling program. 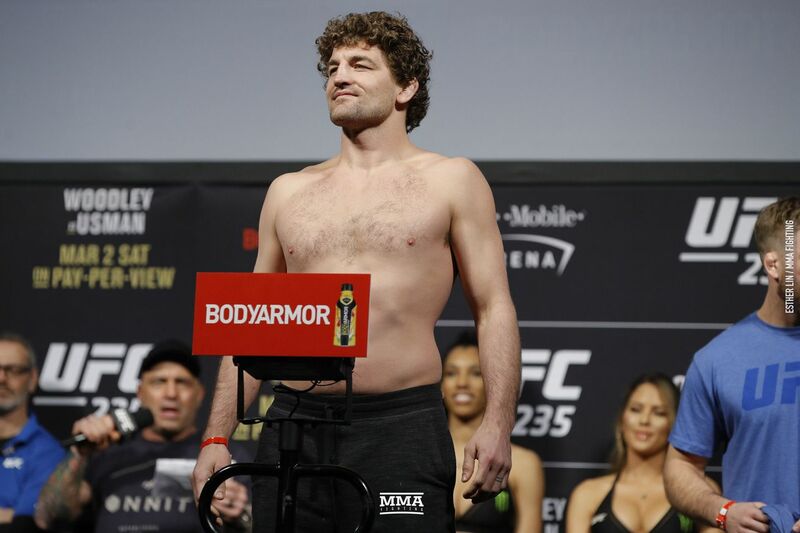 Askren, who’s next MMA appearance is scheduled to take place against Masvidal at UFC 239 on July 6, was a superstar collegiate wrestler before transitioning to professional fighting and becoming a welterweight champion in the Bellator and ONE Championship organizations. He won back-to-back Division I wrestling championships in 2006 and 2007 and qualified for the 2008 Olympics in Beijing where he fell short of a medal. Also a two-time NCAA champion (2009 and 2011, both years in which he went undefeated), Burroughs qualified for two Olympic teams, winning gold in 2012 at the London games. He is a regular at BTS events, having won his last eight contests. Burroughs has also had extraordinary success competing in freestyle wrestling all around the world. Askren and Burroughs will be competing at 74 kg (approx. 163 pounds).